Now that’s a sight worth spending a morning for, isn’t it? This is how it came about. 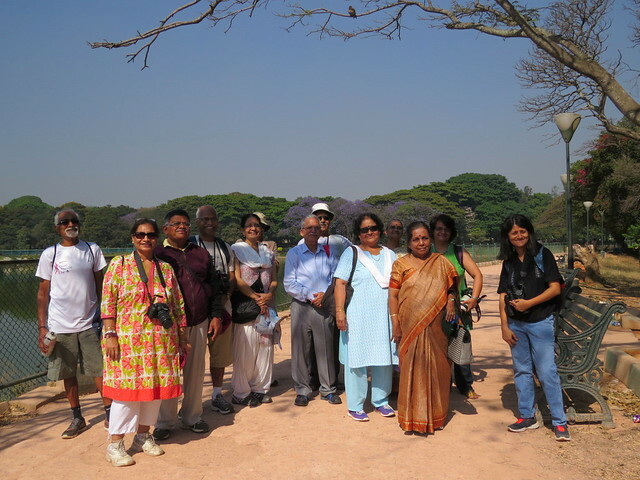 Nidhi Chawla and Reshmi Chakraborty, who founded Silver Talkies an online magazine for seniors, asked me to conduct a nature/birding walk in Lalbagh, and I readily agreed. I've taken many mixed groups, but this would be the first time it would be an only-seniors group. I carefully thought out a trail that would touch on the iconic sights in this wonderful city garden, and yet would not tire our older friends. 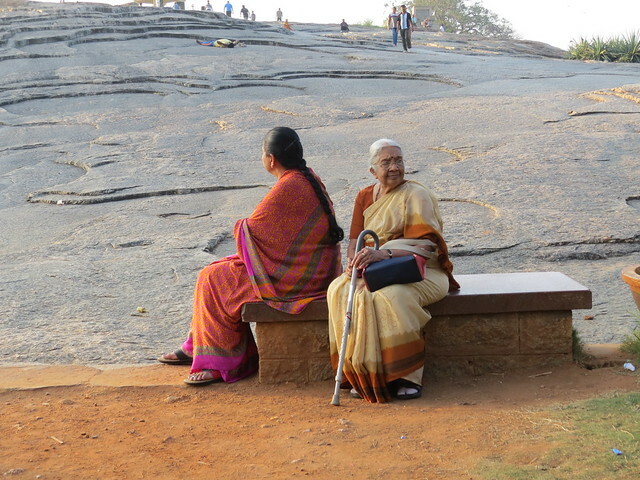 We started at the iconic tower of Kempegowda, and I told them that the rock on which the tower sits would make everyone feel very young by comparison...Peninsular Gneiss is the oldest exposed sheet rock in the world, and is about 3 billion years old! 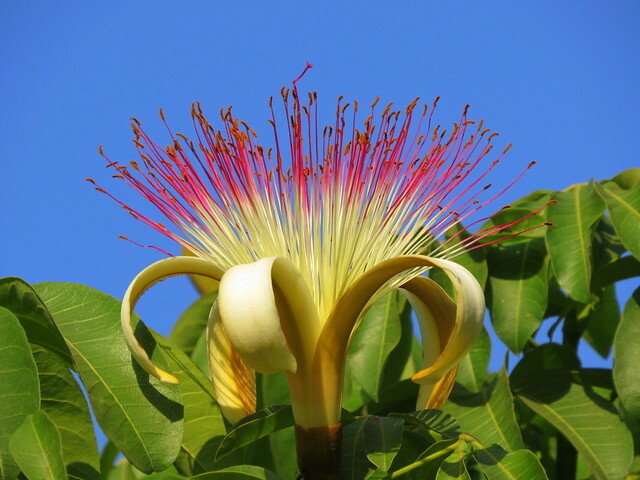 We then walked down towards the Glass House, and I pointed out the magnificient Ficus benjaminii trees, which all need a tiny wasp to pollinate and propagate them. 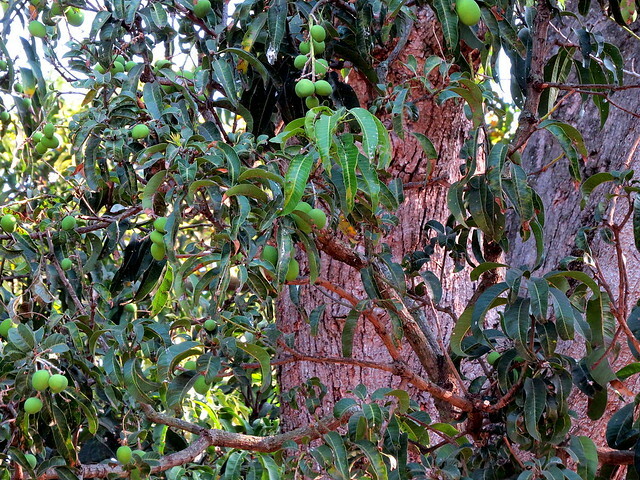 I showed them, too, the mango tree that was planted in the time of Tipu Sultan, and which is still bearing fruits! 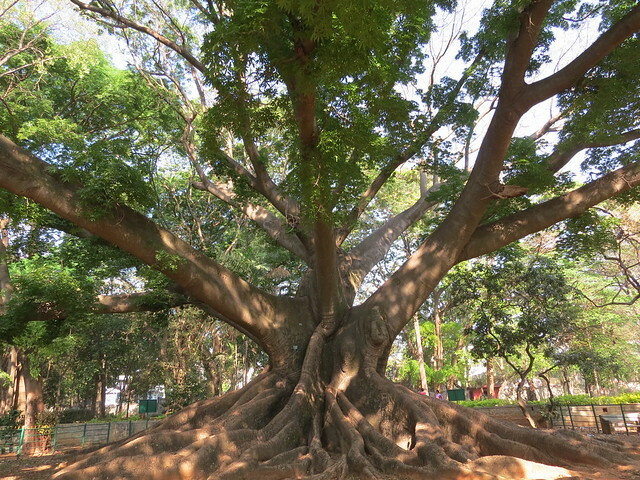 Probably the oldest tree in the garden is this vast White Silk-cotton, about 250 years old. 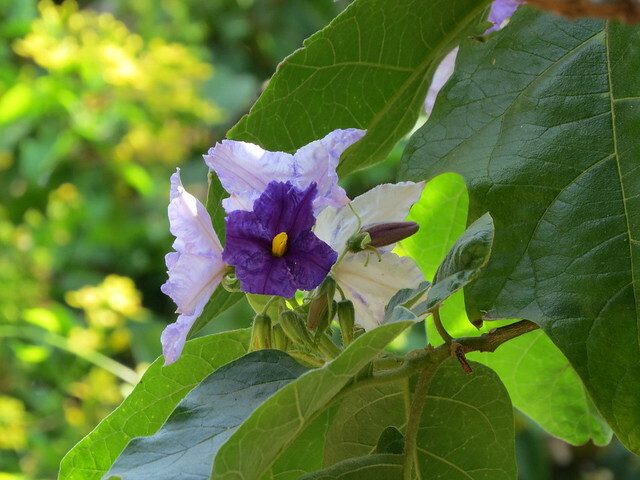 Its cousin, the Red Silk-cotton: This plant belongs to the potato family! 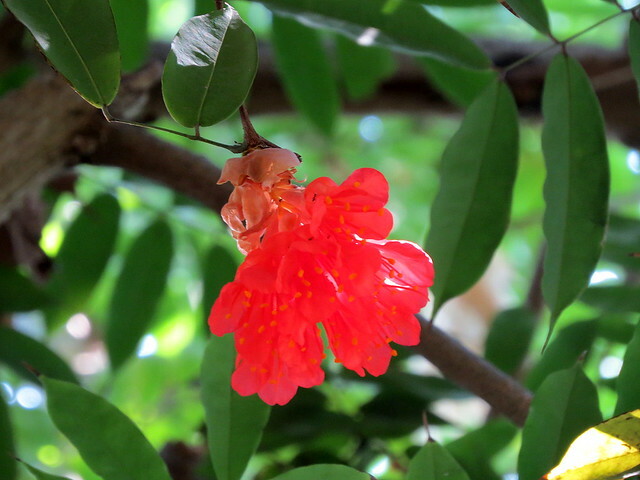 The iconic flower that Bangalore has a Malleswaram street named after...the Sampige! 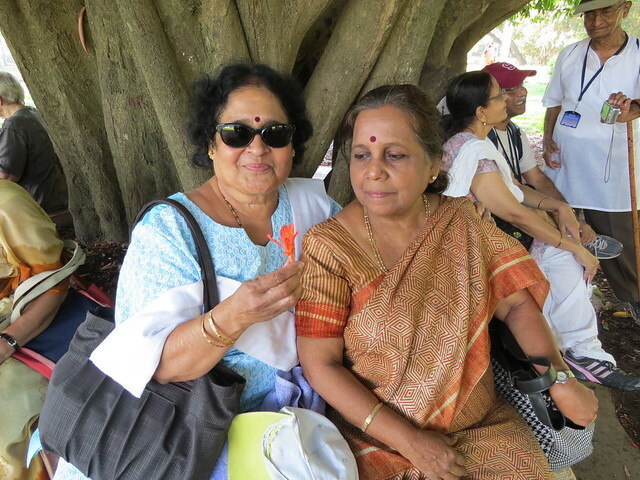 Midway through the walk, we all took a short break, sharing our snacks, and enjoying the shade, and the beautiful flowers, of a Browea rosea tree. 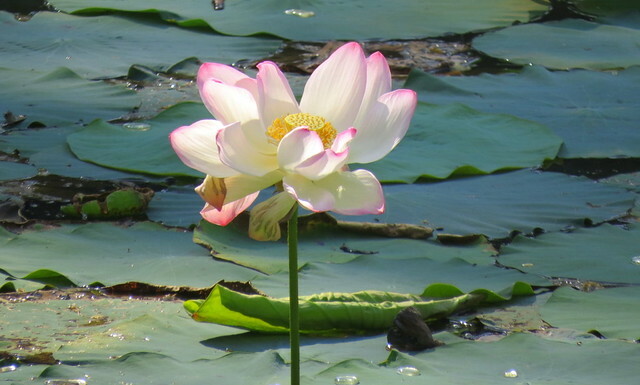 The lotus pond bloomed with beauty: So...in the midst of showing them these trees, plants and flowers, did I miss out on the birds? Indeed not! Here are some that I was able to point out. 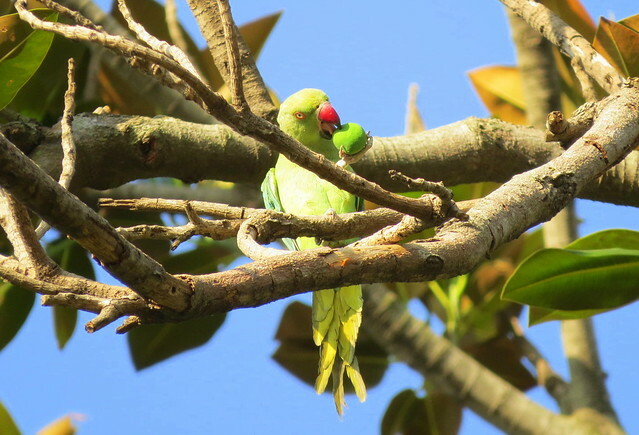 A Rose-ringed Parakeet was enjoying a fruit breakfast. 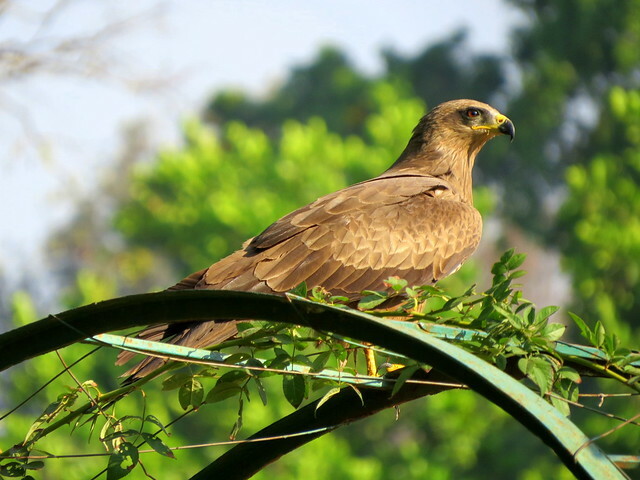 A Black (or Common) Kite, looking for prey. 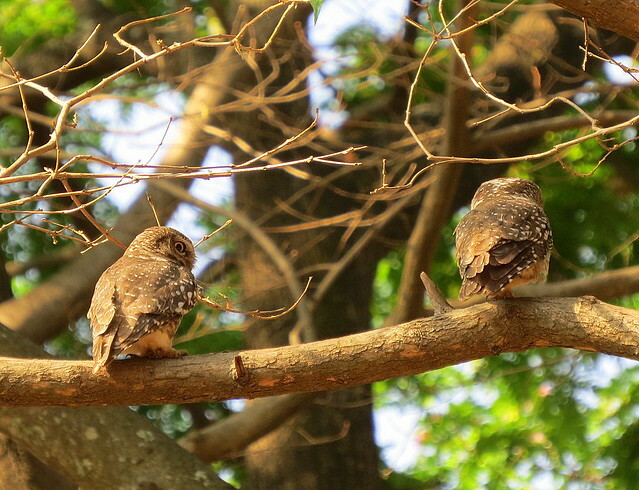 Two Spotted Owlets resting after hunting at night. 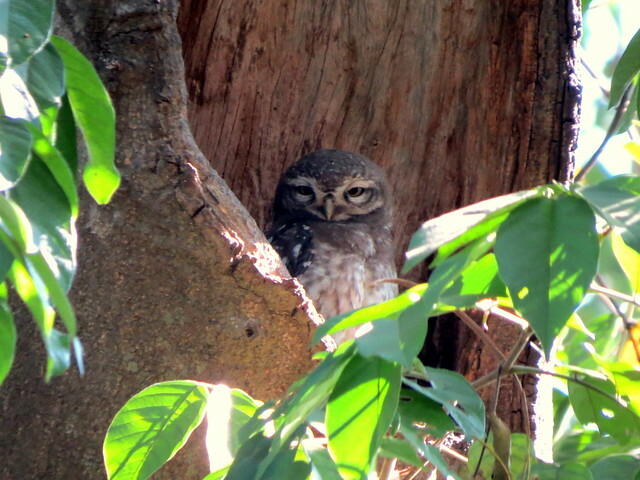 Their sibling, still in the nest! 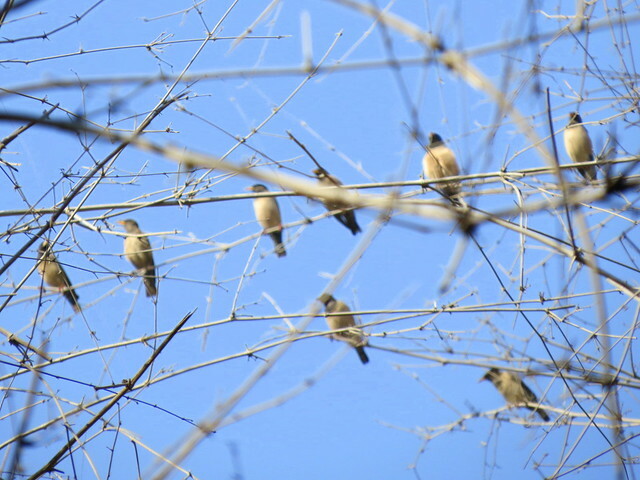 A flock of Rosy Starlings, which are winter visitors to our city, and will soon be departing. 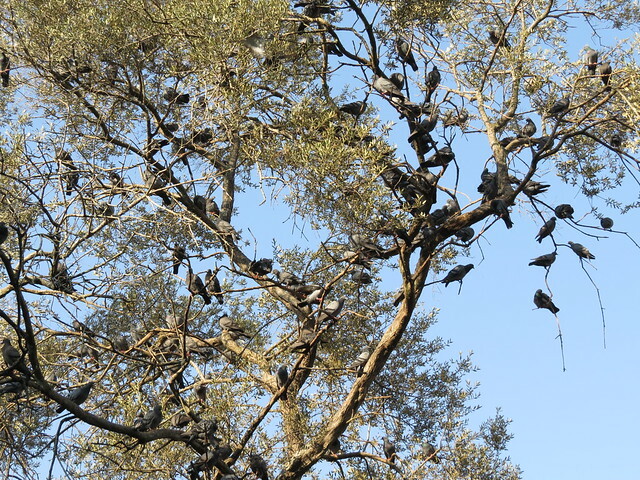 Blue Rock Pigeons festooning a tree. 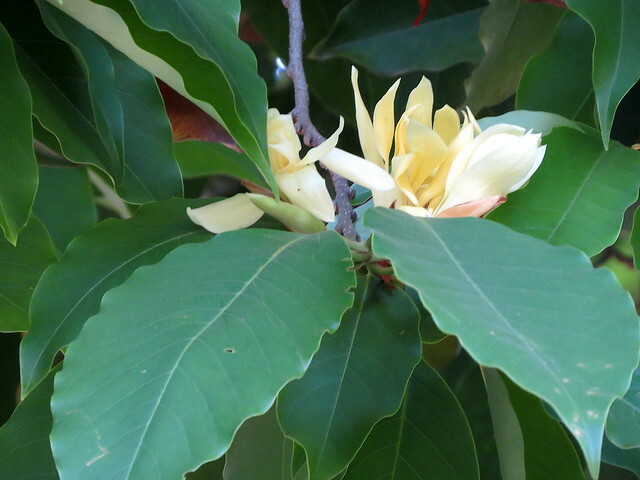 We walked gently, soaking in the wonders that Nature provided for us. 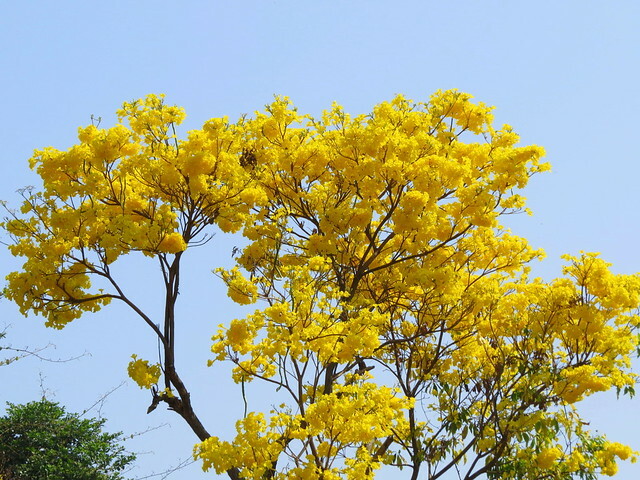 Here are some of us, at the lake: Having enjoyed their company very much, I bid goodbye to them under the blooms of the Golden Trumpet flower shower. 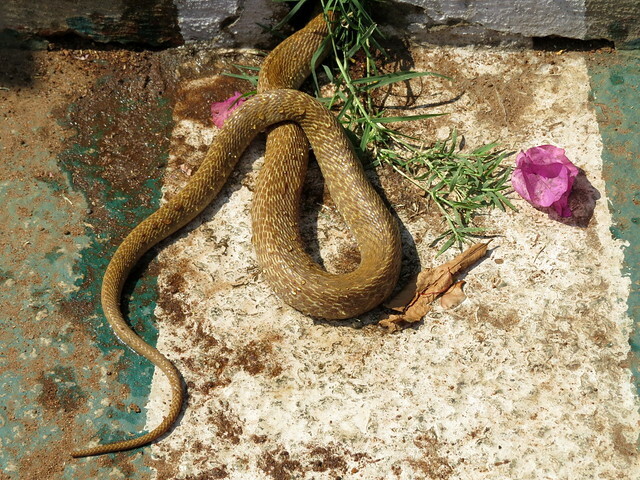 A complete bonus for me was this Spectacled Cobra, trying to get into a mud-hole, as we were in the parking lot. I am glad the others did not see this…I am not sure about their comfort level with cobras! 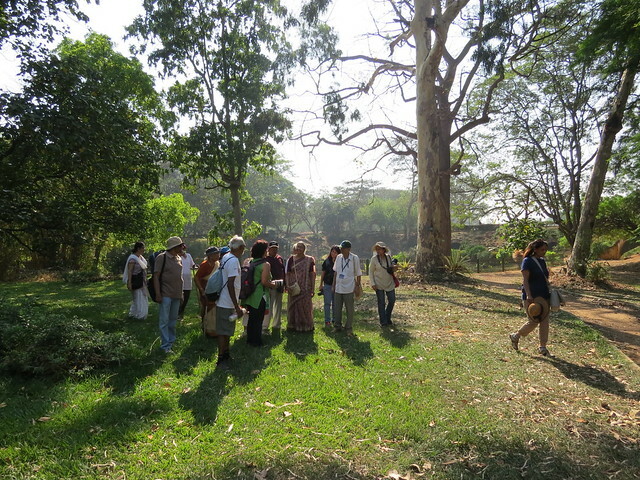 A wonderful walk, showing that natural beauty is all around is, even in the middle of the city. 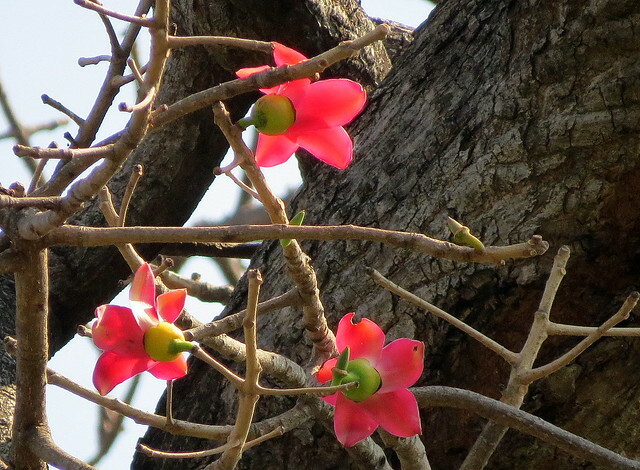 I dedicate this Nature Feature to the seniors of our city.